Need something to fight those dreaded “I’m bored” words from the kids? 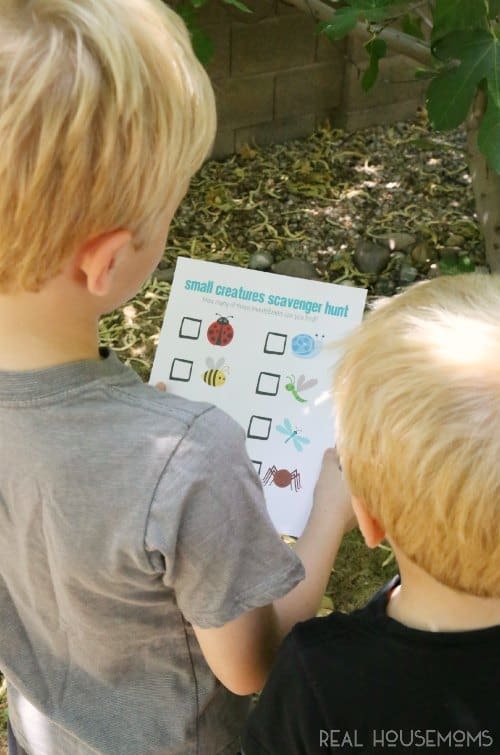 Try a bug scavenger hunt!! 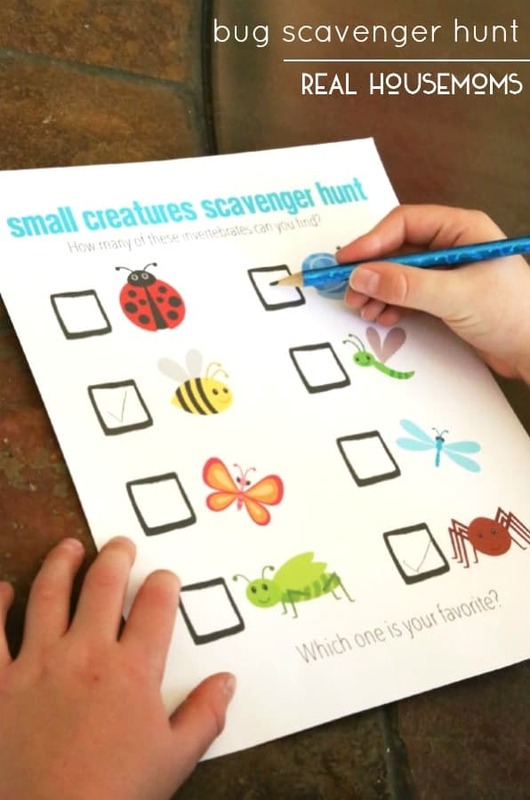 This scavenger hunt could be done as a family activity on a nature walk or just by sending the kids into the backyard to see what they can find. My little guys tend to have an obsession with all kinds of bugs and small creatures. So, I made a cute invertebrates scavenger hunt (the former biology teacher in me had to appropriately name them as invertebrates, of course). The boys had fun exploring our backyard! Bees and spiders were the most common there during our dry summer month! But, in other parts of the country, I’m sure you can find more! With the pictures, even the littlest ones can participate. 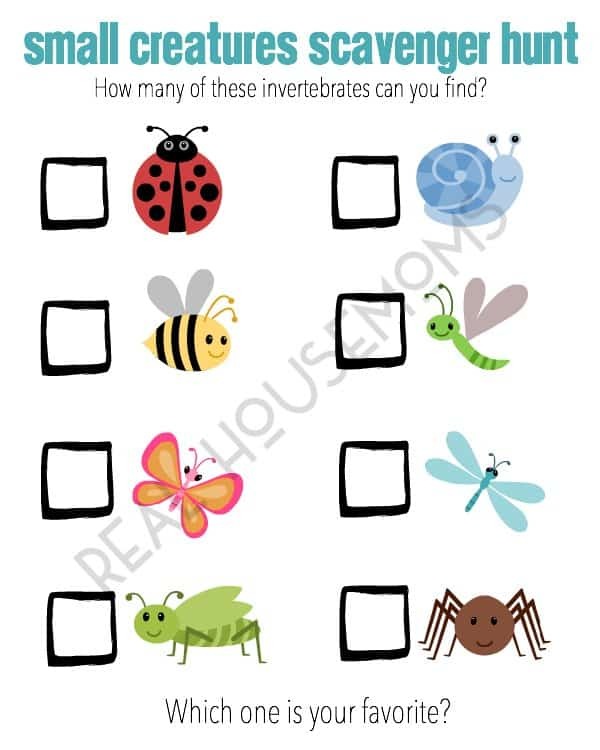 And, of course, you could make this activity more educational by having kids write numbers in the boxes, talk about the differences between the creatures (number of legs or body parts), or even write sentences on the back! Just download the Scavenger Hunt Printable (<—click here) and print, card stock is recommended. A great activity to do with the kids! For more fun bug activities, check out this stick bug craft, or these edible candy butterflies. Get more great project like this one on our Real Housemoms DIY & More pin board!